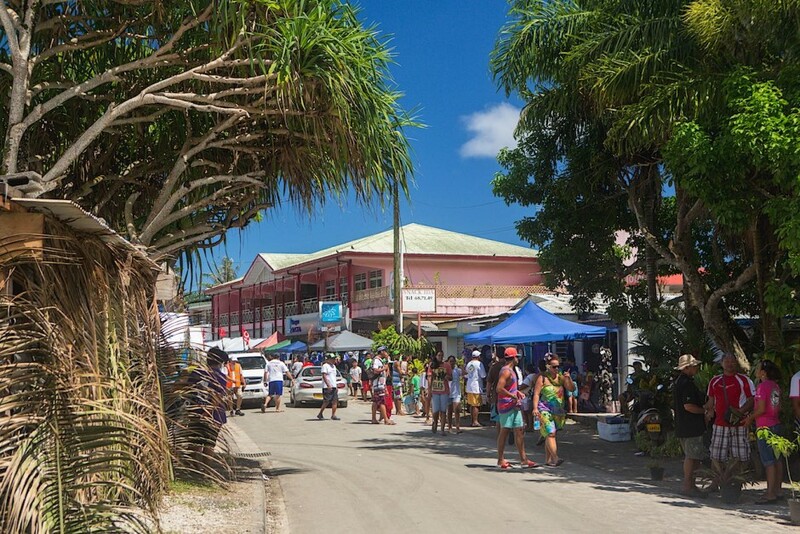 The small and normally quiet village of Fare, on the island of Huahine in French Polynesia, is abuzz with activity. Children play in the ocean, climbing the mooring line of a research ship, and jumping into the water below. Local vendors of island crafts and food sell their wares along the main road, which with the influx of people, has become a walking street only. 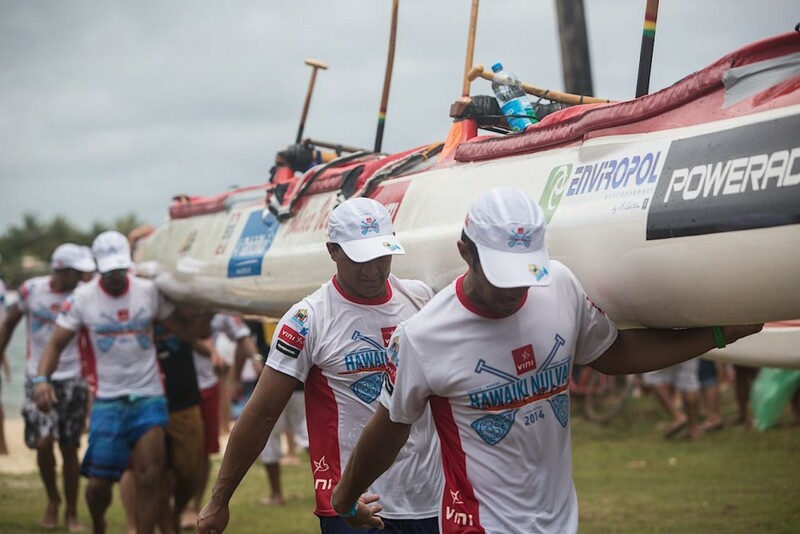 Large and muscular men carry their paddles as they walk through town, while Va’a (outrigger canoe) teams take turns carrying their canoes from the water to an empty grass lot. There they will be carefully measured and weighed, in preparation for the big race, which starts the following day. 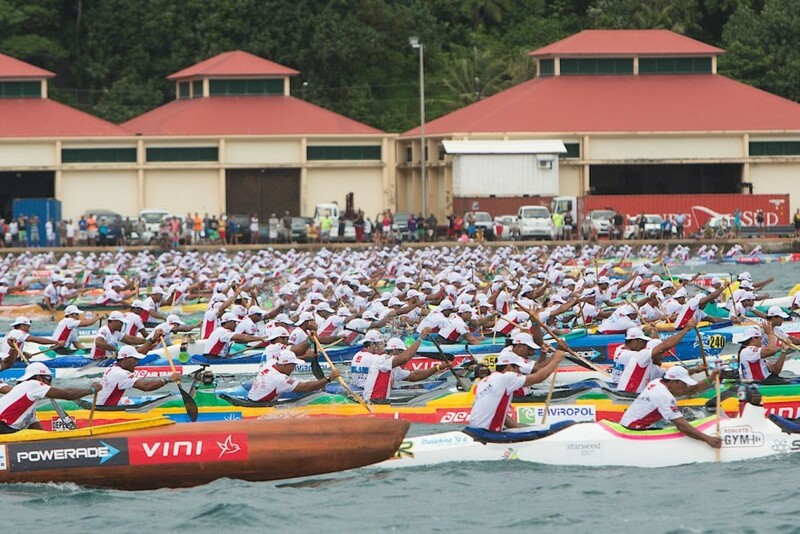 This is the opening ceremony of the Hawaiki Nui Va’a, the largest annual sporting event in French Polynesia. 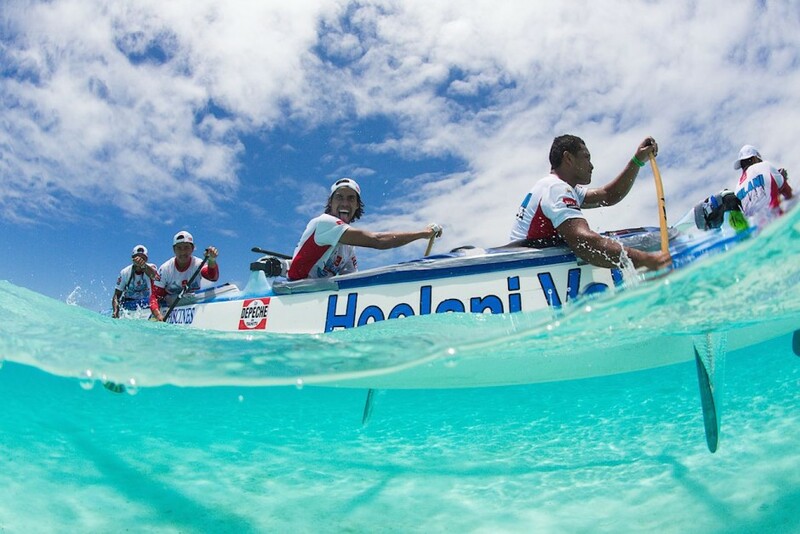 In this race, nearly 100 six-man paddle teams from island nations and beyond gather to put their experience, their determination, their strength, and their will to the test. 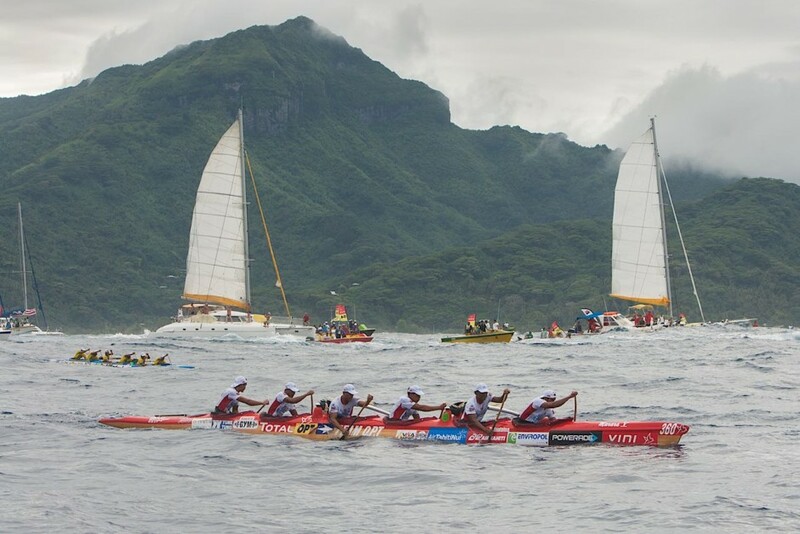 The Hawaiki Nui Va’a begins on Huahine, and over the course of the three-day, 80-mile race teams will paddle to Raiatea, then Taha’a, before finally finishing in Bora Bora. This event is deeply rooted in Polynesian culture, and is very prestigious. Competitors train rigorously all year, and this is the culmination of their efforts. It’s also very much a spectator sport, with what seems like the entire nation coming out to watch. All schools are closed for the whole week, and many businesses close up shop as well. This is, as the Communications Manager for Tahiti Tourisme puts it, the Superbowl of Tahiti. 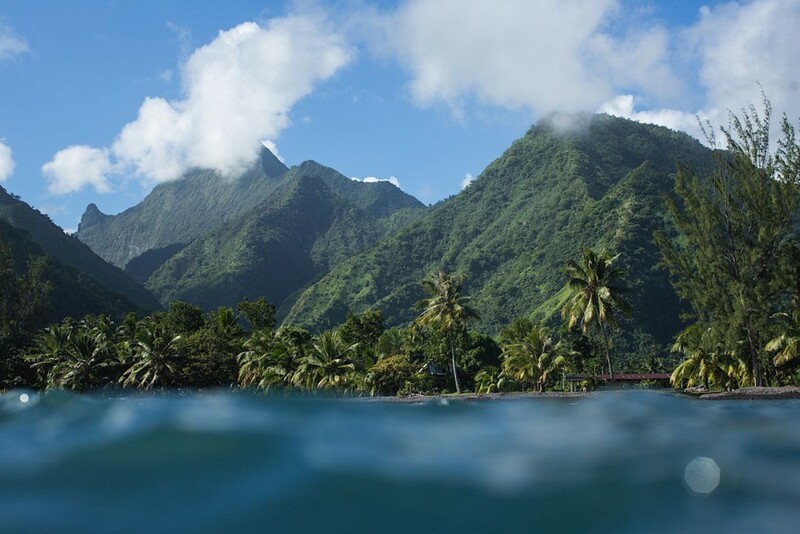 Tahitian mountains from the water—the peaks and ridges in French Polynesia are so dramatic, raw, and full of life. 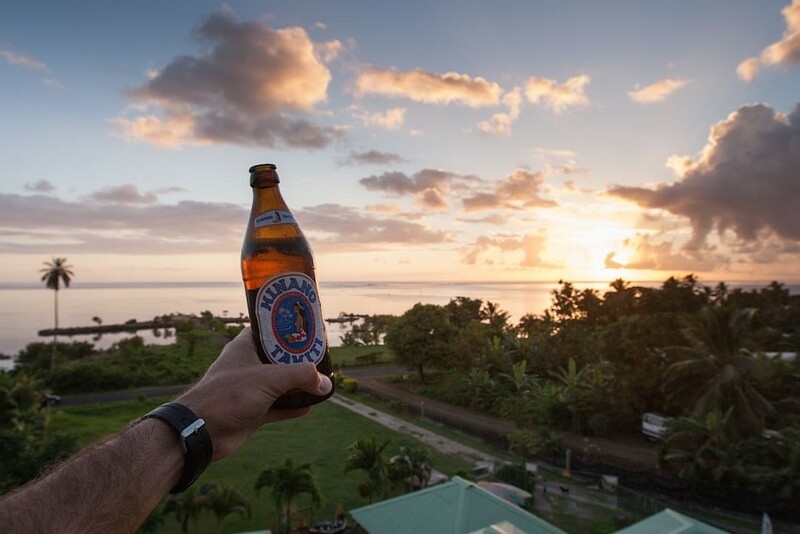 There’s no better way to enjoy a colorful Tahitian sunset than with a cold Hinano in hand. 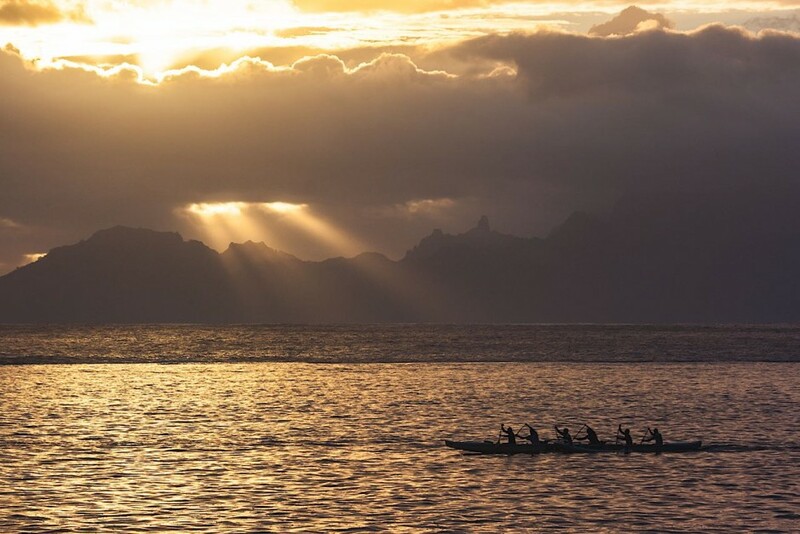 A Va’a (outrigger canoe) team trains in the golden rays of the late afternoon with the silhouette of Moorea in the distance. Locals enjoy an afternoon at the base of a waterfall. 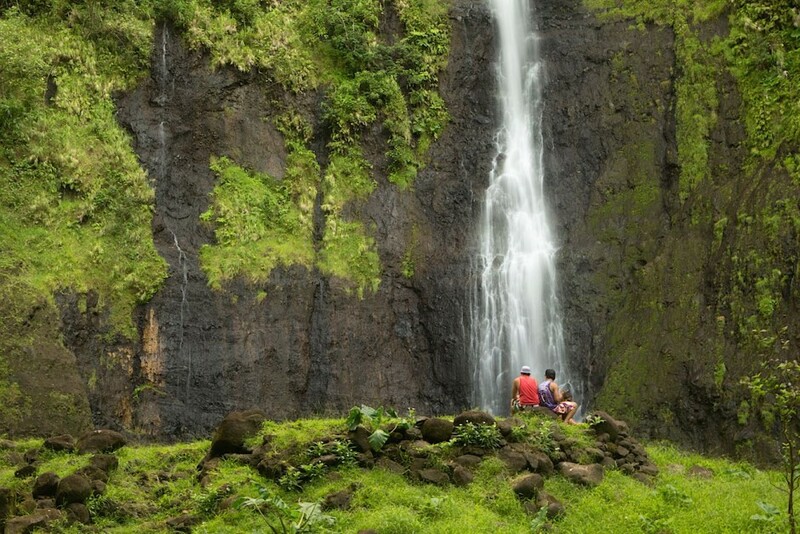 While exploring the island one day, I went for a hike to this waterfall, and found these three young Tahitians with the perfect post-up spot. 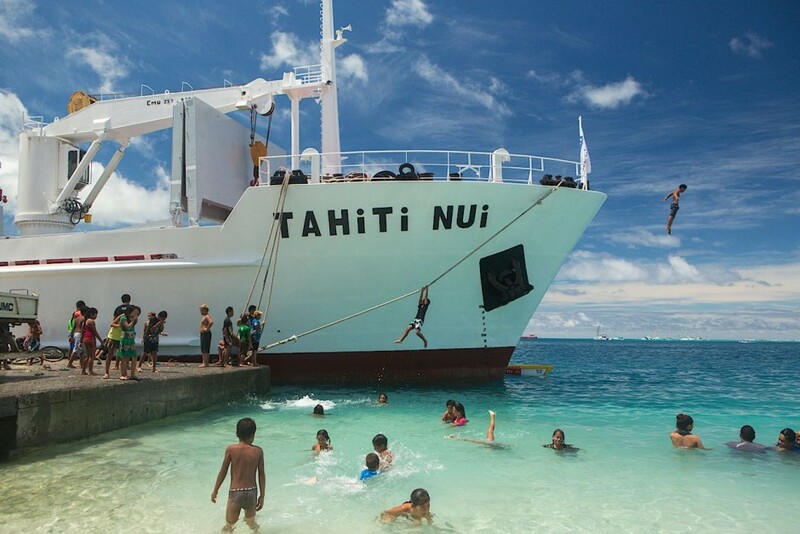 Local kids on Huahine found endless entertainment climbing and jumping from this research ship, while the adults prepared for the opening ceremony of the Hawaiki Nui Va’a. Only the best climbers made it all the way to the deck of the ship. With the whole week off from school, the kids could literally swim all day long. Competitors and friends greet each other in the lot where the canoes are measured and weighed. 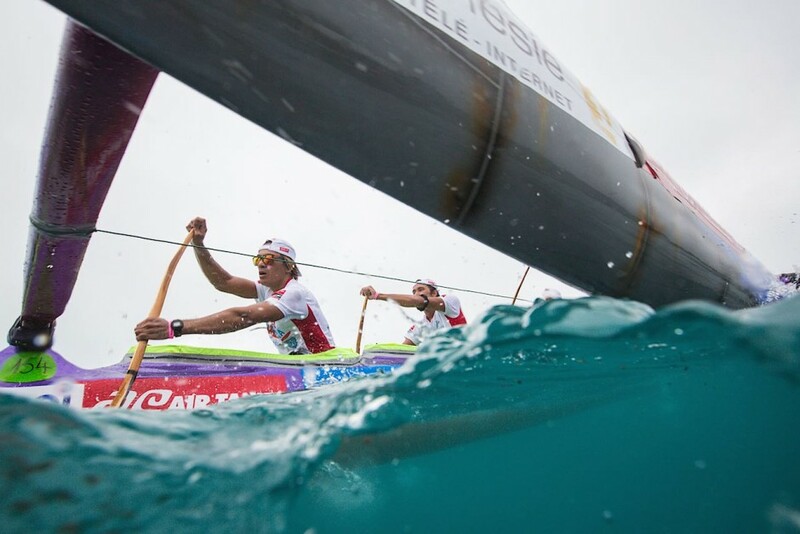 The only way to be a spectator or supporter of this event is to be on the water. From sailboats to speed boats, and catamarans to fishing boats, just about every type of vessel could be found following the paddlers. Some were supporting the teams with water and verbal motivations via megaphone. While others were media boats, full of photographers and videographers, trying not to bump lenses as the ocean did its best to topple anyone standing. The majority of the other boats on the water were just enthusiastic fans of the sport, cheering at teams within earshot. Getting about as close as possible without being run over, I was able to get a close-up view of this Va’a team as they neared the finish on day one of the three-day race. I decided to mix up the technique, and shoot Team EDT (the eventual event winners) with a slow shutter speed to emphasize the team's movement. Shooting a moving outrigger from a moving boat in a moving sea proved a difficult task. Aaaand they’re off! 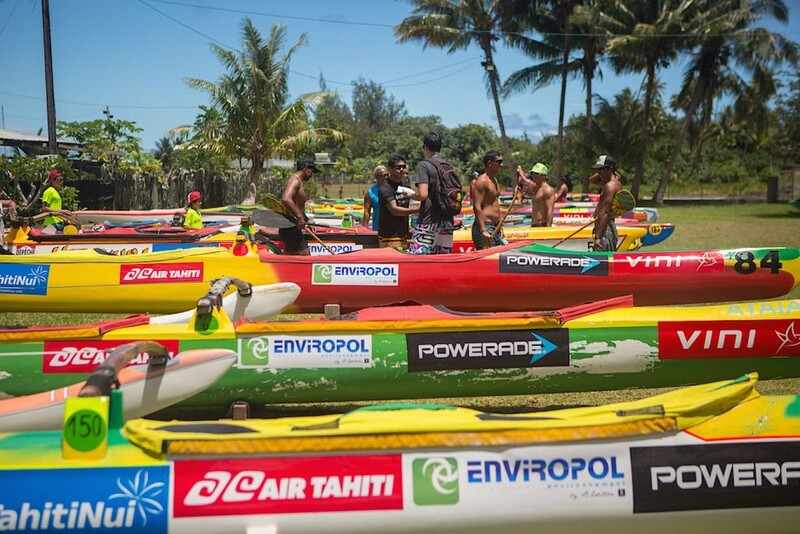 With nearly 100 teams, the start of the 23rd Annual Hawaiki Nui Va’a was a bit chaotic. But the pack didn’t stay tight for very long, as the stronger teams began to pull away quickly, and the canoes spread out. 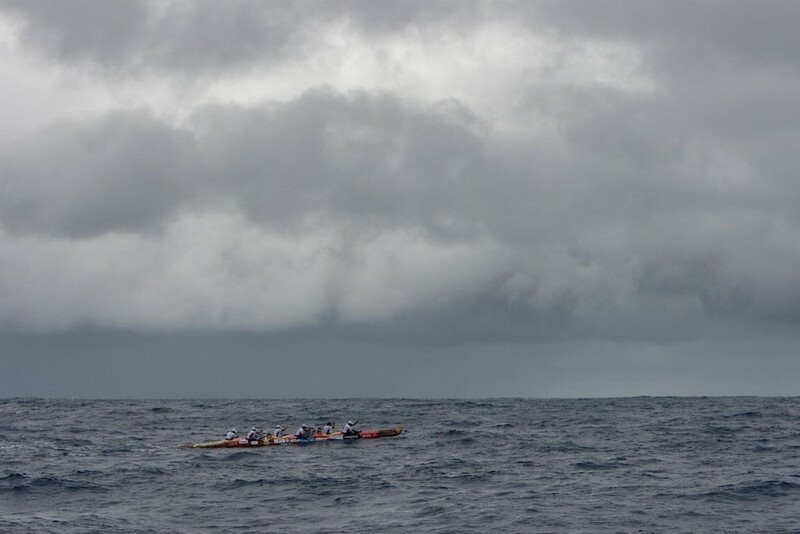 As teams head out into open ocean, they gradually get further apart, and in many cases, lose sight of each other entirely. With limited visibility, and no way to know exactly where the fastest route to the finish line is, they navigate based on instinct, a rough game plan, and a general sense of direction. This is where local knowledge of the islands, winds, and currents comes in to play, and gives the teams with that knowledge the advantage. 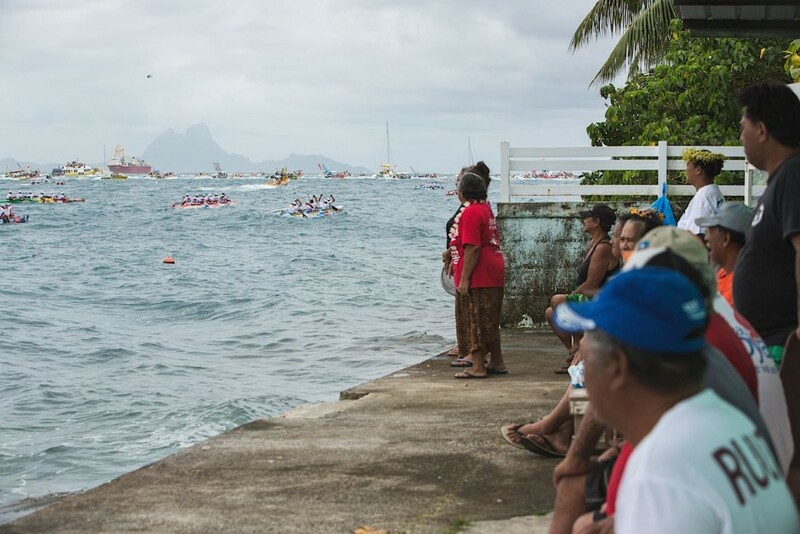 Locals of Taha’a look on, as teams make their way toward the finish line on day two, while the faint but distinct silhouette of Bora Bora can be seen in the distance. 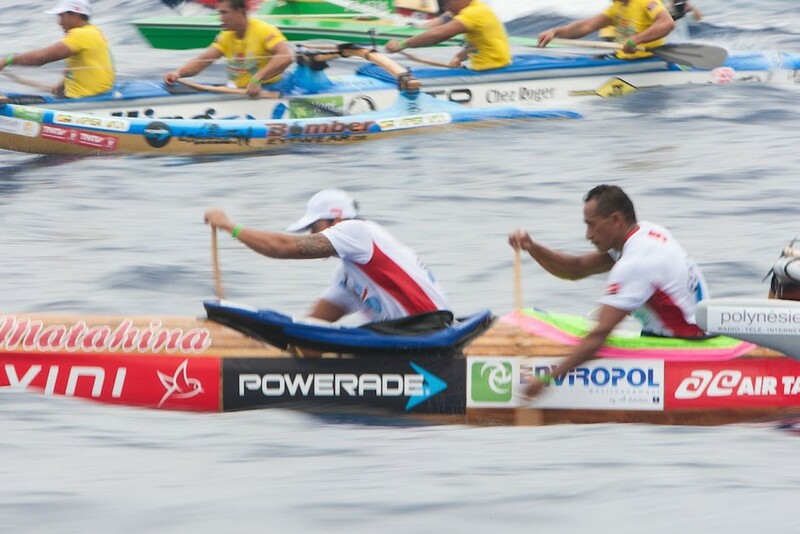 A Va’a team carries their canoe out of the water after the second leg of the race. There is much to celebrate during the Hawaiki Nui Va’a. 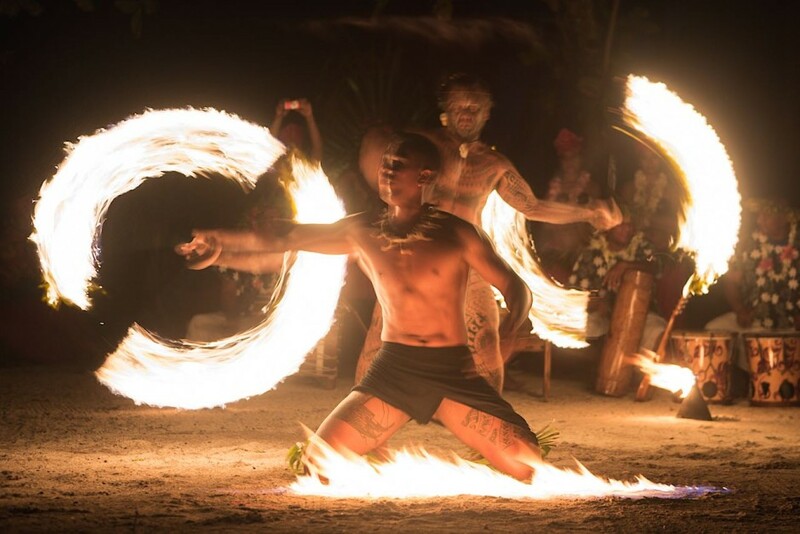 Seen here are fire dancers on the island of Taha’a. There are hundreds of motus (small coral islands) scattered around the islands of French Polynesia. 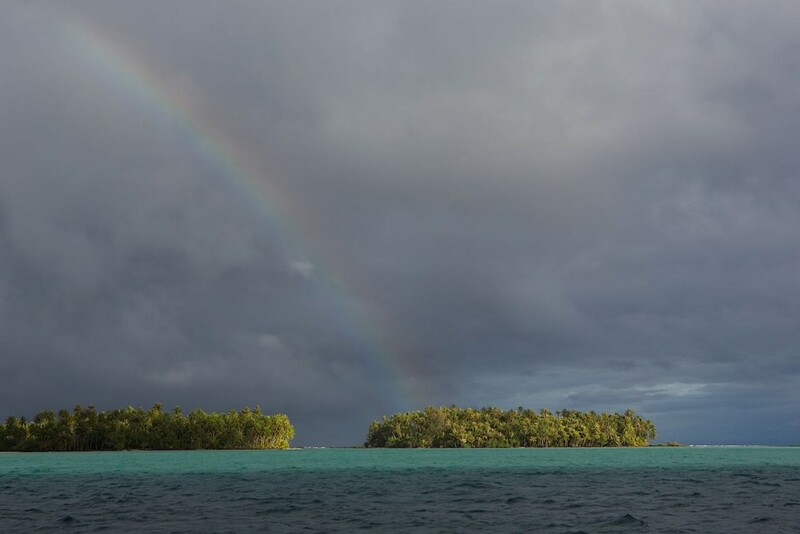 This one in particular, just across the lagoon from Taha’a, was being showcased by Mother Nature. Bora Bora is known for its unparalleled beauty, which includes the swimming-pool qualities of its lagoon. Bath-water temps and swimming-pool clarity make it the perfect location for the Hawaki Nui finish line. 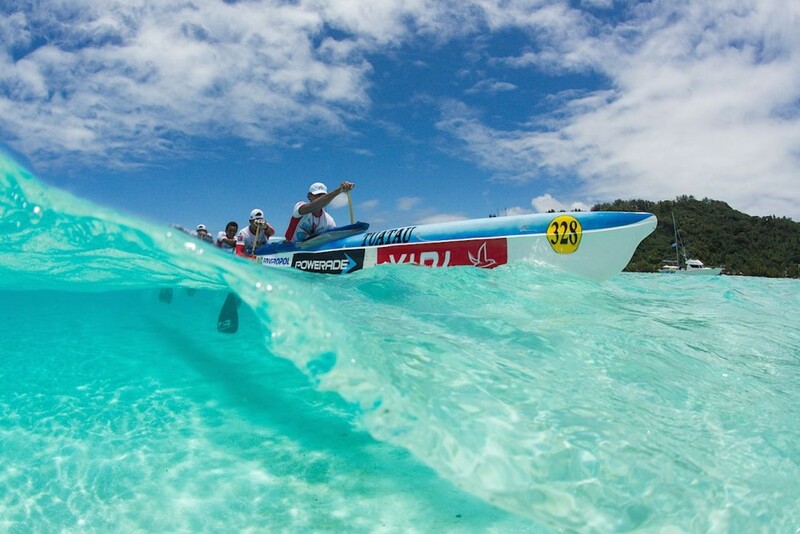 This team is showing some excitement to be in the clear waters of Bora Bora, close to the finish. 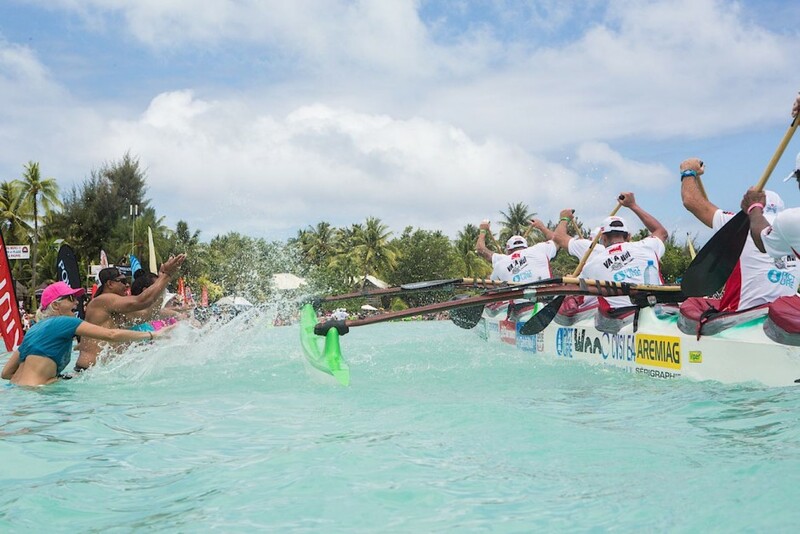 As each Va'a team crossed the finish line, crowds waiting in the shallows splashed water at them in celebration of their finish. Thousands of people turned up for the finale. 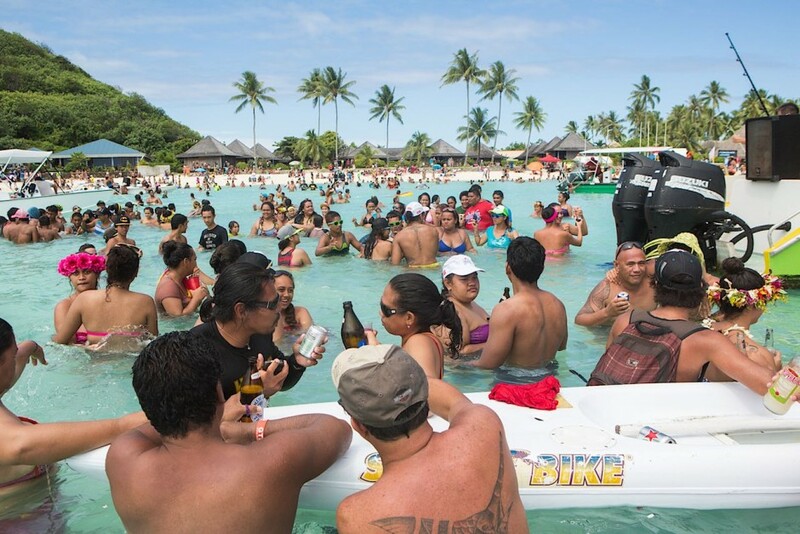 In addition to all the schools being closed for the week, many businesses on Bora Bora had to have been fairly light on staff, if not closed, as thousands of people came to celebrate. The lagoon near the finish line was packed with boats and people, and the wide, shallow sandbar allowed the partiers to spread out over a large area. 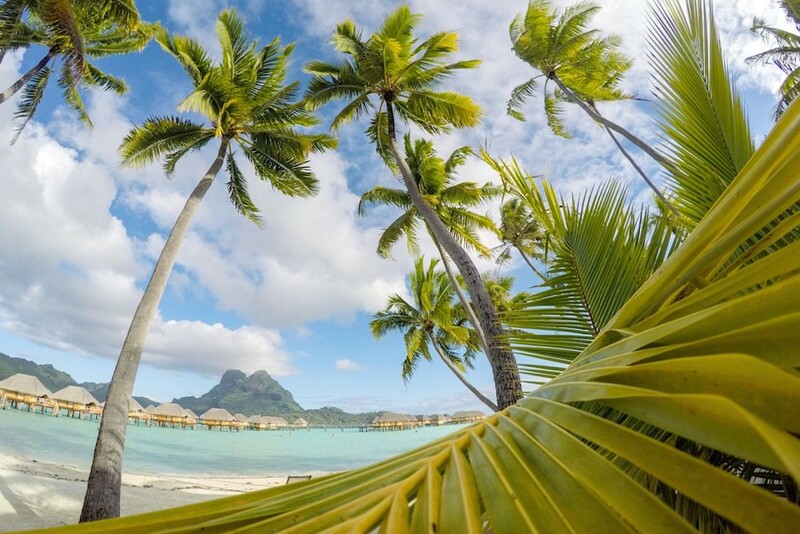 The picturesque view from one of Bora Bora’s many waterfront resorts is the perfect place to relax after a grueling three-day race through the islands of French Polynesia.